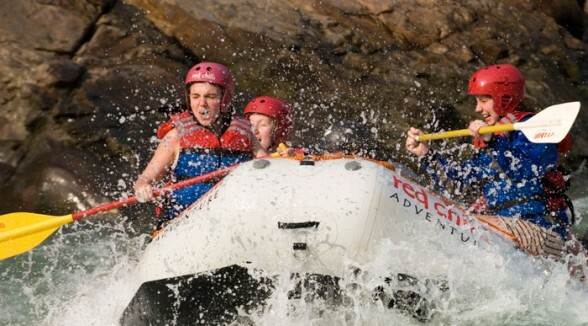 Recommended for adults and kids above 14 years old: This is grade III, III+ rafting stretch and usually takes about 2 hours on the river and has about 7 rapids including small and bigger. Some of the good rapids we run on this stretch are called Roller coaster (III+), golf Course (III+), Club house (III). 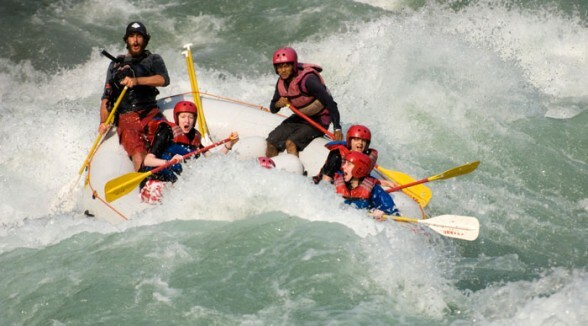 Rapids are safe to raft though there are some big waves and hydraulics. 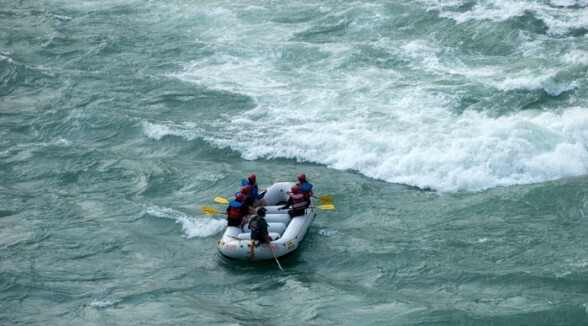 It takes about 30 minutes to one hour to drive to the starting point and then about 30 minutes for the preparation, inflating rafts and safety briefing. Once safety briefing is done, we get on the rafts. 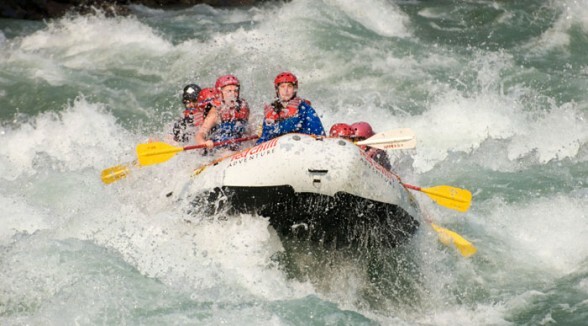 It is 2 hours fun on the river with some good splashes and big hits. 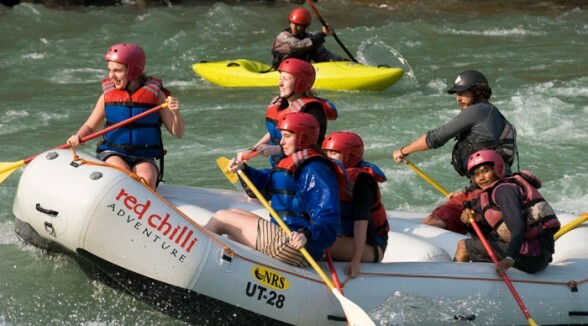 We finish our rafting trip just before Luxman Jhula and then from there it is a 5 minutes drive back to red chill office. 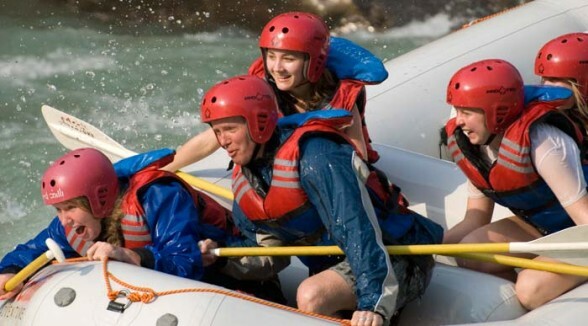 Cost includes transportation from Rishikesh to the starting point and back to our office from finish point, all the rafting gear like life jackets, helmet, paddle and wet suits if required, professional guide including safety kayaker or raft.